I found a similar post at the forum from 2015 but it was unsolved. My system is OS X El Capitan (10.11.4), I am running OS 7.6.1 on Sheep Shaver. I've tried the OS 7.5.3 version as well (like the other member suggested at the other post), but I got the exact same error. 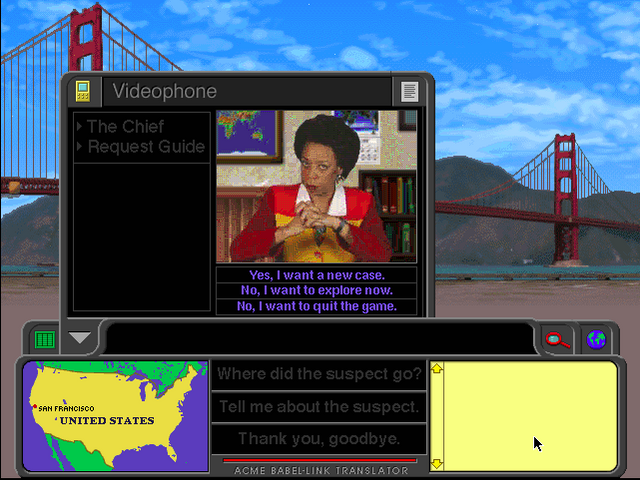 The game is "Where in the World is Carmen Sandiego" v3.5, I downloaded it at the macintosh repository website. I can even run the intro video of the game, and the sound works, but it crashes with an error: "unable to prepare waveform sound id #141 :error #10000"
In the other post was suggested to try it System 7.5.3 "with BII", in BasiliskII instead of SheepShaver. Did you try that? Ronald, I can only second your advice. I tried the game in question http://macintoshgarden.org/games/where- ... andiego-35 second DL. Mounted the ISO with http://macintoshgarden.org/apps/virtual ... cd-utility, and installed the game onto an empty volume under Basilisk II / Sierra. The game runs without issues in MacOS 7.5.3 as far as I can tell. The game wants 256 colours to run in Basilisk II, an easy fix, I hope. The game is running just as well under MacOS 8.1 btw, so the OS does not seem to be critical, just the emulated environment.